It's safe to say that with cultural differences between the United States and Japan that maybe some of these happened. Here are Super Sentai villains whose Power Rangers counterparts have reduced roles. I remembered seeing Lokar in Mighty Morphin' as his footage got used. Rita merely invited him to participate in the carnage and his one of her monsters. 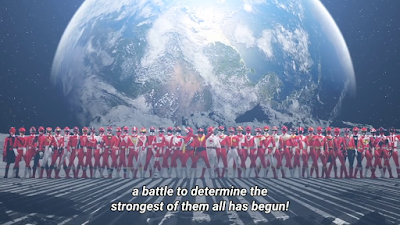 But in Zyuranger here's the twist. 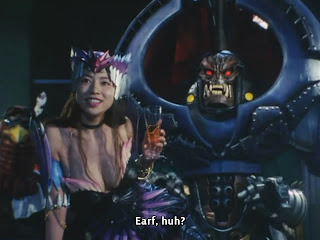 As his name implies he is the ultimate evil of Zyuranger. 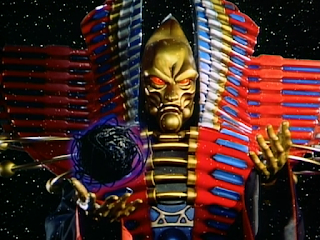 While Bandora served as the recurring archenemy of the Zyurangers but he served as the ultimate evil of the show. 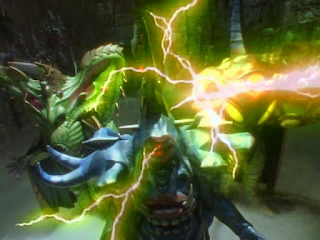 Bandora pledged allegiance to his cause in exchange for revenge. 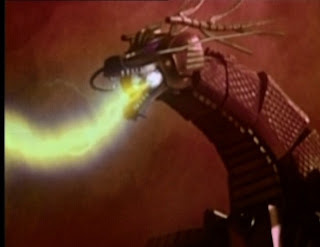 He was ultimately destroyed by Kyukyoku Daizyujin in the finale. Why Lokar is written as Rita's monster instead of her patron god is unknown. I remembered seeing the really huge but always runs out of energy zord called Serpentera. Is it me or is Lord Zedd really that stupid from creating putties with obvious weak spots to not considering the limits that Serpentera would have? Years later, I discovered that Serpentera's Super Sentai counterpart Daijinryuu was a sentient being. 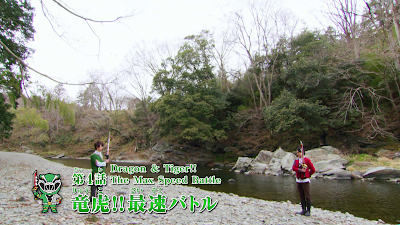 All the footage in MMPR Season 2 of Serpentera running out of energy were taken from Daijinryuu's ceasefire. Daijinryuu may be a neutral force but he's done several villainous acts (which is why he's in this list) such as taking out his frustration on innocent people making him an even more serious threat than the Gorma themselves. 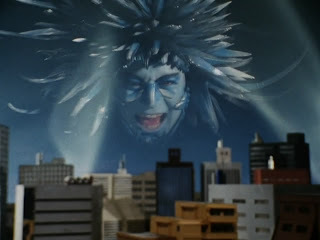 I don't know what Toei was thinking when they had to produce Zyu2 footage for the arrival of Lord Zedd. Lt. Col. Shadam who is one amazing villain yet his MMPR counterpart was just a monster of the week. I mean, this guy could pawn Lord Zedd and Rita Repulsa and would have probably seized power from both fools for himself. Season 3 of MMPR was really a drag. I just watched it all because I had nothing else to watch but it doesn't change the fact I freaking don't like it not just because Kimberly left but because of how overly extended MMPR got. Master Vile arrived as the father to both Rito Revolto (Prince Junior's counterpart) and Rita Repulsa and didn't stay too long. 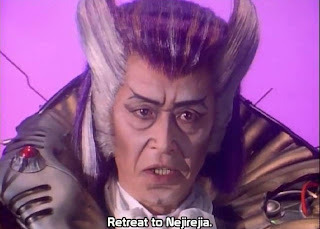 In Kakuranger, Great Demon King was the main villain who arrived for the second half of the series. Gynamo is the president of the Bowzock organization though he's just a puppet of both Zonette (who uses her sexuality) and later Emperor Exhaus (though he refused to acknowledge it at first). He's officially recognized as the head of the Bowzock while Zonette serves as its de-facto leader (until Emperor Exhaus arrived). In Power Rangers Turbo we have Divatox as the official crew leader while Rygog is her subordinate. 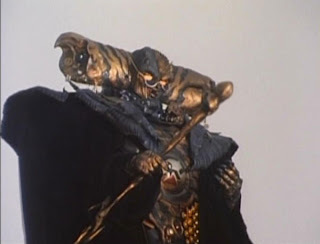 Emperor Exhaus played a huge role in Carranger as the ultimate evil in the show's continuity. He manipulated the super stupid Bowzock organization. In Power Rangers Turbo he's simply the most powerful monster hired by Divatox to destroy the Power Rangers Turbo team. Dr. Hinelar's wasted final form was turned into Furio the first general to die in Lost Galaxy. What I thought was that Lost Galaxy could've used a Dr. Hinelar counterpart as Scorpius' right hand man instead. I could imagine this Dr. Hinelar counterpart messing up with life in the Lost Galaxy even seeking to use the Galaxy Beasts for his insane experiments. IMO, Dr. Hinelar's monster form shouldn't have been used in Megaranger either considering how underutilized it was. Trakeena might have served better as a Power Rangers in Space game-changing Ahames-type villain and Darkonda never existed in that show. Some people prefer Lost Galaxy over Gingaman though I could point out some mistakes from both shows. If I could rant all I want that maybe Flashman should have been the one named Gingaman then maybe I could talk about Captain Mutiny's existence. He served little to no role for just seven episodes. I don't think his appearance was even necessary. Either Captain Mutiny could have been the main villain of the show or he shouldn't even appear at all. Scorpius was already doing his job as a main villain so why even use him as a third wheel? I think it's cultural differences to why Don Dolnero's counterpart Gluto isn't the main villain. 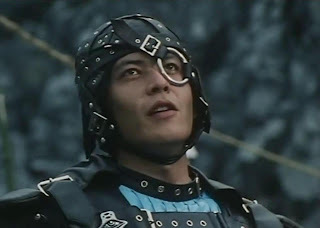 As much as I dislike Power Rangers (and my preference for Timeranger over Time Force is more on extreme favoritism) but I still agree with people who think Ransik is the better villain than Don Dolnero. Sure Don Dolnero is better than Gluto but I don't think he's better than Ransik. 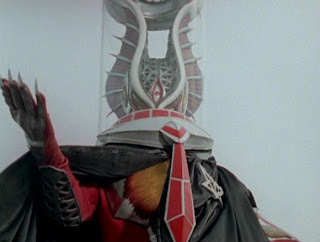 Sure, I'd still pick Dr. Giba from Jiban over Ransik any day as the better villain but the latter is still badass. I think Jiban and the Timerangers would probably still have a hard time getting rid of Ransik before they defeat him for good. Gaoranger had no Master Org so the three villains Shuten, Ura and Rasetsu all took turns in their role as the "Master Org". All three of them were combined by Tsuetsue into the final villain Senki. In Wild Force their counterparts Retinax, Nayzor and Mandilok are Org Generals instead of Org Highnesses due to the presence of Viktor Adler who became the second Master Org. 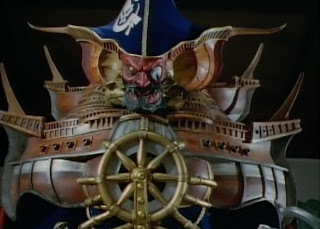 Neither Gaoranger nor Wild Force did any expansion on Hyakimaru (on who the three Highness Orgs that forced the one being were) or anything about the previous Master Org before Viktor became the main villain of the series. Okay, let me get it straight that Dekaranger doesn't really have a central organization while Abrella exists as the overarching villain who arrives early on. It's pretty much like how Ryuichi Takaoka from Solbrain and Iwao Daimon from Exceedraft exist as the recurring villains in a show where a central organization is nonexistent. 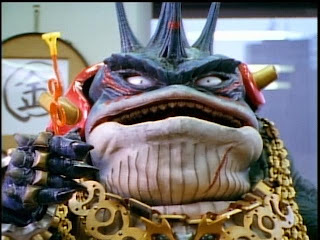 Broodwing in Power Rangers SPD exists as Emperor Grumm's agent and not as the greatest villain ever. Pretty much my readers know I still would pick Dekaranger over SPD. Yes, it's time to bring that accursed Megafailed season yet again. 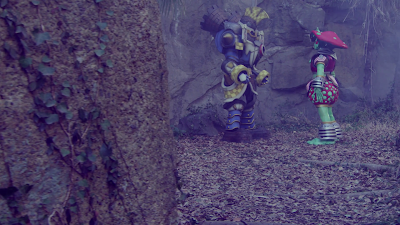 Prince Vrak quickly goes down to extra in the second half of that awful show. Brajira started out as someone who allied with different organizations but he had manipulated them behind the scenes. He turned out to be the fallen angel that the Goseigers had to get rid of. As much as I feel Goseiger is a weaker series but this guy is one of the strongest points ever! While Go-Busters was skipped no thanks to the stupid season split of Power Rangers but Enter did get his closest counterpart. 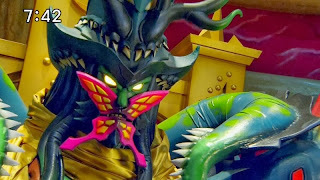 Dino Charge had its own version of Enter with Heckyl who arrived as a midseason villain. I wonder if he even counts. 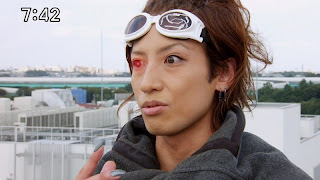 Enter is Go-Busters' greatest villain and I think he may even overthrow Venjix if he were part of Power Rangers RPM. I gave a thought on some pluses and minuses of Kyoryuger and Dino Charge. It could have been better if Sledge himself would later mutate into Greenzilla in Dino Charge. Also, I thought it could have been something if underneath all that armor that Sledge looks like Deboth. 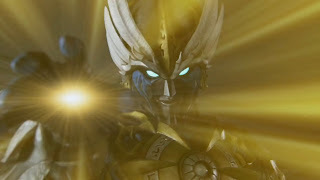 Although I respect and agree with you on most of the things you have said about Enter from Go-Busters, I think Venjix would probably kill Enter, if he was an RPM villain, because Venjix has the ability to instantly kill/delete people, including his evil servants.